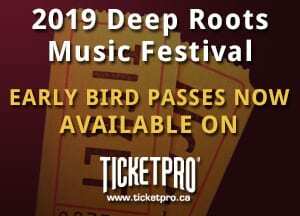 BOTH FESTIVAL PASSES (available now) include evening main stage shows, Saturday afternoon songwriter circles, performances and dances, Sunday afternoon closing concert, and access to the Festival Club (will be open as “home base” throughout the weekend). Friday & Saturday Late Night shows are not included in passes. Children 6 and under, accompanied by parents, are free to attend Saturday and Sunday afternoon shows. Tickets are available online or at any Ticketpro outlet in the Maritimes. Check Ticketpro website for a complete list.